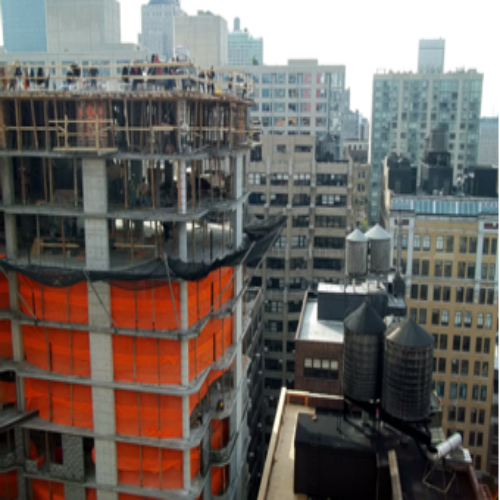 Step outside in New York City and, chances are, you’ll see scaffolding. 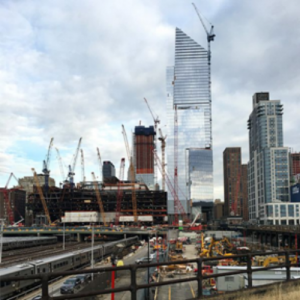 According to the New York Building Congress, $40 billion worth of construction projects have been launched in Manhattan, Brooklyn, Queens, and The Bronx — and construction spending is expected to increase to $40.8 billion in 2017. It’s official: We are in a construction boom. Hudson Yards (which recently hit one-third of its full height), the Bryant, just one of many exciting new projects coming to the island. Frequent New York City travelers can also look forward to a huge increase in boutique hotels while city-dwellers are expected to have over 90,000 new units to consider renting or buying — including the 85 floors of 432 Park Avenue, the tallest apartment building in the city. Over in Brooklyn, thousands of new residential units are expected to be on the market, following the completion of projects such as AvalonBay Communities’ new apartment tower in Downtown Brooklyn and a new Northside Piers high rise at 1 North 4th Place in Williamsburg. Per an analysis by The Real Deal, around 100 new buildings will offer Brooklynites 14,000 new homes. Queens is also experiencing its own mini boom — especially in skyscrapers. Long Island City is welcoming 28 construction projects and approximately 12 mid-rise hotels. You can see them grow to fruition along the waterfront, Jackson Avenue, Purvee Street, and Hunters Point. See also: The Bronx. In addition to several new affordable housing endeavors, a brand new 40th Police Precinct building is under development along 149th street. The BjarkeIngels Group is behind the building’s modern design. Simultaneously,YoungWoo& Associates is transforming the former 175,000 square foot Bronx General Post Office into a hybrid space containing commercial and residential units as well as a mini post office. In June, the New York Building Congress reported that the number of people employed by the construction industry was at its highest level since 1975: In 2015 the construction industry averaged an employment rate of 138,200, up from 131,800 in 2008. 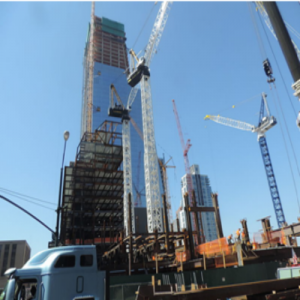 The New Building Congress also estimated that by the end of 2016, the city would see close to 147,100 construction jobs. Considering that the average New York construction worker rakes in around $47,730 a year, the boom is great news for current and aspiring tradesmen and even better news for construction managers and engineers, who earn a mean annual wage in New York of $114,330 and $91,110, respectively. But it will also mean more accounts payable and receivable for companies, contractors, and sub-contractors. For many involved in the trade, this can mean waiting periods that interfere with workers’ and managers’ abilities to forge ahead on a current project or dive into a new one. And waiting periods can hold companies back from staying in the competitive game of New York real estate development. 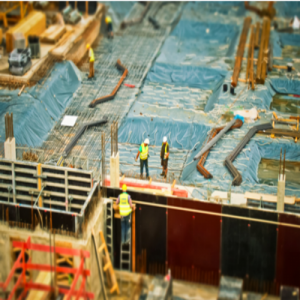 Luckily, there are solutions for those who wish to keep pace with the current construction boom without going broke: Invoice factoring, cash flow funding, and working capital financing offer construction companies a competitive edge in keeping the money flowing no matter how long the period between an invoice being sent and a check coming in may be. Prestige Capital has been leading the way in providing these cash flow financing options for over three decades. When Prestige Capital was founded 32 years ago, we decided to use our knowledge of how to finance milestone or progress billed receivables to assist clients in the construction industry who often had a difficult time obtaining financing from banks. Over those years construction has had many peaks and valleys, and Prestige Capital has met clients’ needs every step of the way, helping each business turn accounts receivable into immediate working capital. Our principals have over 100 years of combined experience funding small and medium-sized companies across the United States of America. Prestige Capital stands out from other invoice factoring services by the rapidity with which we close deals and the straightforward, transparent manner with which we conduct our services. This past summer, Prestige was hard at work on a broad range of deals servicing construction industries paid on milestone and progress billings. Two of our most notable financing endeavors during this timeinvolved a 14-year-old construction company based in New York to whom we provided a $1 mm line of credit and five-year-old concrete contractor who we provided with a $1.5 mm line of credit. The construction company had been renovating new locations for a popular food chain and, as the retail chain saw rapid growth in customer interest and new locations, the company was not able to keep pace with paying invoices.By allowing for payment terms up to 90 days, Prestige Capital provided liquidity on the backlog of receivables to give them the cash flow they needed to pay their employees and keep business growing without placing undo pressure on their customer to pay early. The concrete contractor had been using merchant cash advances to finance and grow their business but needed to pay off high interest rates in order to continue growing and becoming more profitable. Prestige Capital provided invoice financing to pay off the contractor’s high interest rate loans, providing them immediate liquidity to keep up with the rapid pace of their growth at a drastically lower cost. Prestige Capital does not require its clients to factor all of their invoices. Nor does it sock clients with complicated fee structures that could hold back managers looking to move ahead in the construction boom as they lose time trying to understand how to apply for, submit, and pay off accounts billable and receivable. With us, you won’t be hit with legal fees, operational audits, or mandatory long-term contract requirements. Additionally, Prestige Capital empowers clients to choose which receivables to fund while assuming the credit risk for them. As always, we are quite responsive and can move very quickly to work with companies that are creating all of these beautiful spaces that make our city the unique one that it is. Prestige Capital has funded transactions in as little as three business days. And our average transactions take between four and five business days, enabling success in less than one week from an initial phone call. Learn more about the Prestige Advantage, see if you qualify, find out how you can get started today, or contact us for further information.